It wasn't all friendly artistic discussion at the Closerie des Lilas and "Ecrire le Sport" (Bordeaux 2005) mentions an incident in which Rilke takes a beating from a boxer outside the famous cafe. Francis Carco (1928) mentions a similar event: "Also there was a splendid fight, at the end of which a boxer belonging to the Prince's [Paul Fort's] following literally stunned me and threw me out. What an adventure! Lying on the pavement with blackened eyes, my right ankle dislocated, I came back slowly to my senses to shout again: "Long live Rimbaud!" and to see Paul Fort, with his hands laid in a brotherly fashion upon my forehead, laughing and lamenting .."
Rilke wrote many letters from Paris between 1910 and 1914 (Letters of Rainer Maria Rilke, Volume Two 1910-1926, 1948, Norton & Company, New York) and some extracts are quoted below. "I have been invited to go along on a lovely trip that will take me through Tunis, perhaps on to Egypt, about that I will write as things develop. It is not entirely easy for me to go away from here, although Paris during this time has been by no means easy for me; it is indeed just by the difficult that one always recognizes it again and by the difficult that one is so strongly bound to it." Rilke had an apartment in Paris from January 1913. "I take long, long walks outdoors here, for a few hours occasionally the sun is such that one can rest beside an evergreen oak, then a little bird voice favours me, or the roaring from the deep river gorge makes superfluous everything that has been and everything that can be. But in walking I ponder so many things, from the first of January on a studio in Paris will belong to me; I foresaw that, however this journey turns out, the most important thing for me will be immediately afterwards to get to an independent place of my own, therein I was certainly right. And whether Paris, which has taken so much of my strength, is still necessary, will do me any good, time will have to tell." 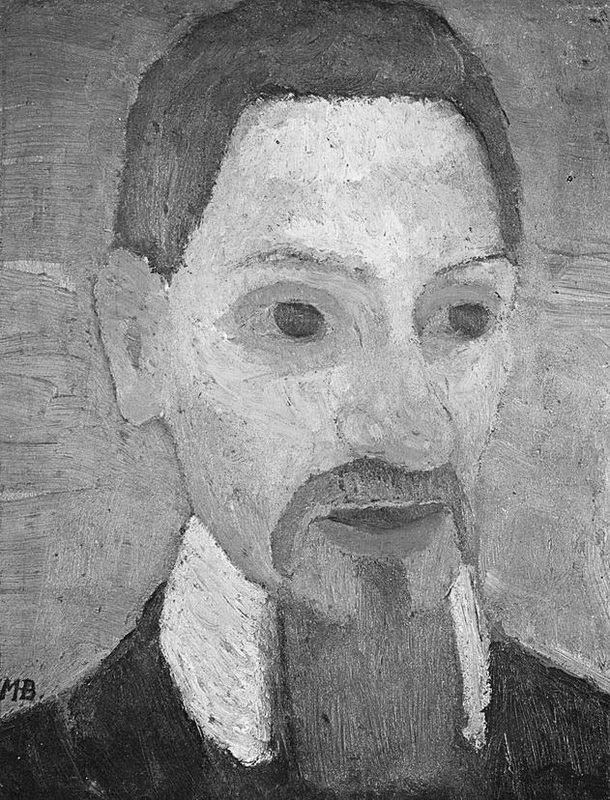 Rilke was concerned about a possible war with Germany as early as the beginning of 1913. "... I am thanking you at once for your good eight pages which, as one read them, became even fuller; after this I seem to myself excellently informed about all of Europe, only of the danger of war between France and Germany, with which my femme de menage runs the broom through my rooms every morning, you make no mention in your bulletin: so I assume things don't look as bad on that score as ordinary people here imagine for the spice of it." When war did break out the unfortunate Rilke was on a visit to Germany and had to abandon all his belongings in Paris. ". . . You ask after me with affectionate concern. So I will just quickly relate that, without presentiment, I left Paris on the 20th of July; for two months, as I thought, leaving all my possessions behind me in customary fashion. These I have long since and freely abandoned to fate, as it is absolutely not for me to take possession literally. Two or three things, it is true the daguerreotype of my father, an old picture of Christ that I have had standing before me since boyhood, and certain letters and particular irreplaceable books among all my several hundred still follow me from afar and wave farewell, and I wave to them . . . But that will pass and, as one simply has to learn, the individual absolutely does not matter, even if I do not see the common bonds either that might matter; it probably does not matter at all anyway, but instead fate is right and behind fate the all-surviving stars." Jan and Cora Gordon at about the same time left their studio in Paris. Feeling that "world-shattering events were in progress and we out of them" they interviewed with Mr & Mrs. Berry who would be in charge of a Red-Cross unit about to be sent to Serbia. In January 1915 they set off as part of this Serbian Mission from the Royal Free Hospital. The book resulting from the adventure, published in 1916, was the start of their prolific writing careers.